Welcome to a new year! We’re going to start the new year off right by re-instating our Project of the Month. January’s project comes to us from Sartell MN. 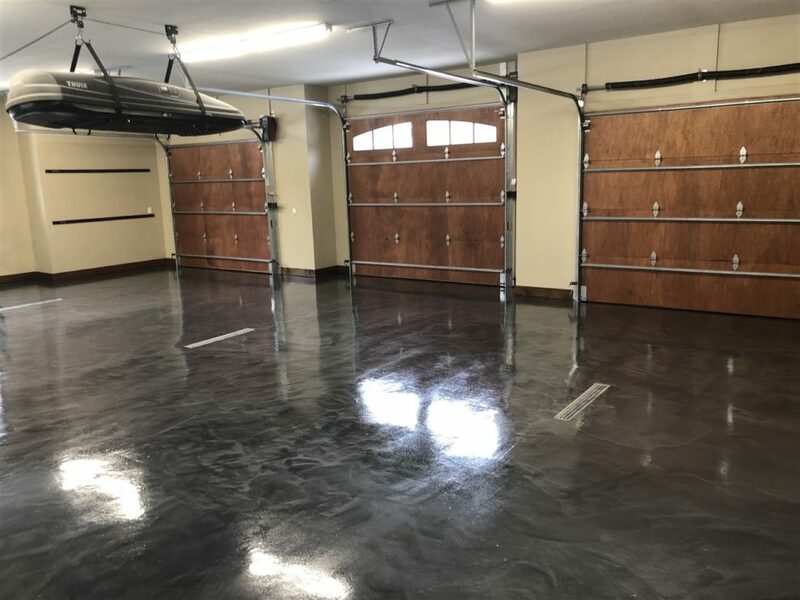 Who says a garage floor has to be boring? 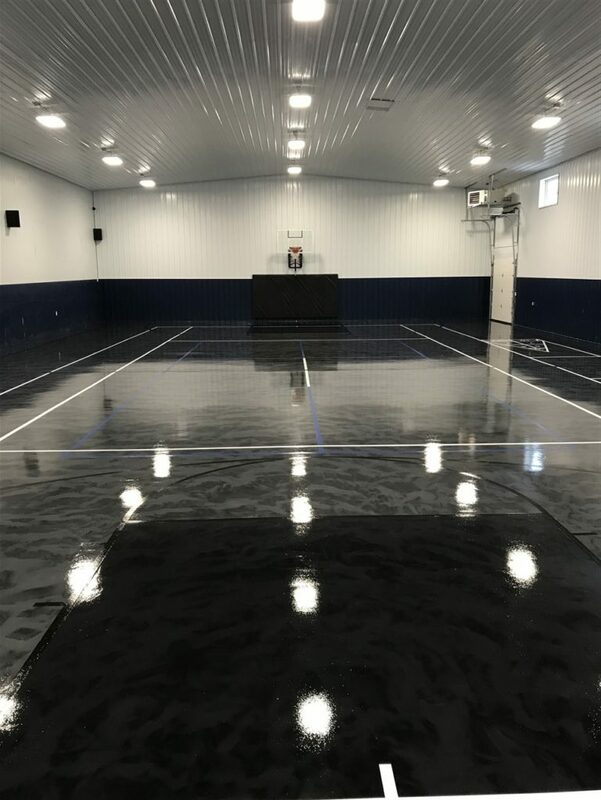 The customers wanted something more unique than a solid color floor coating and decided on our metallic process. We were able to give them a multi-color floor with an awesome affect in the metallic. Phase 1 of the project was the garage and pool house. This customer was very happy with the richness of the color and the quality of the work. 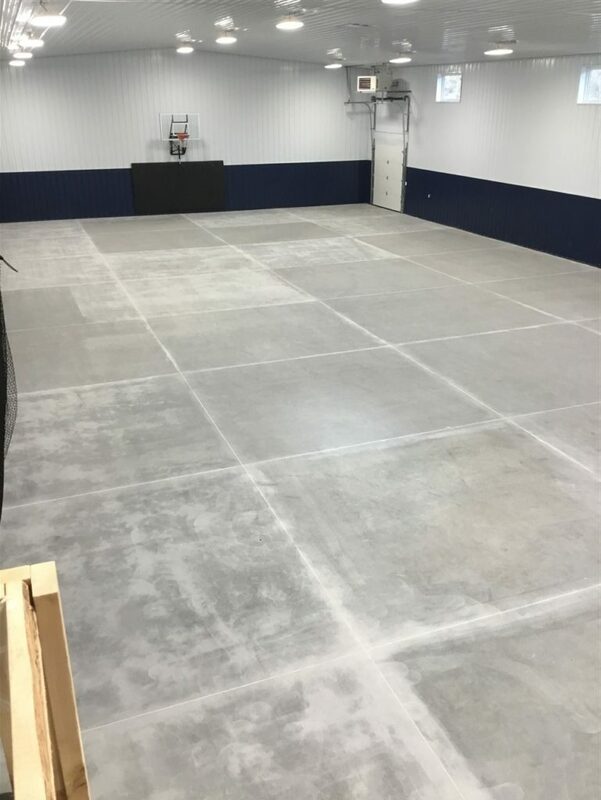 The second phase of the project was the transformation of a 6700 SF shed into a recreation area. 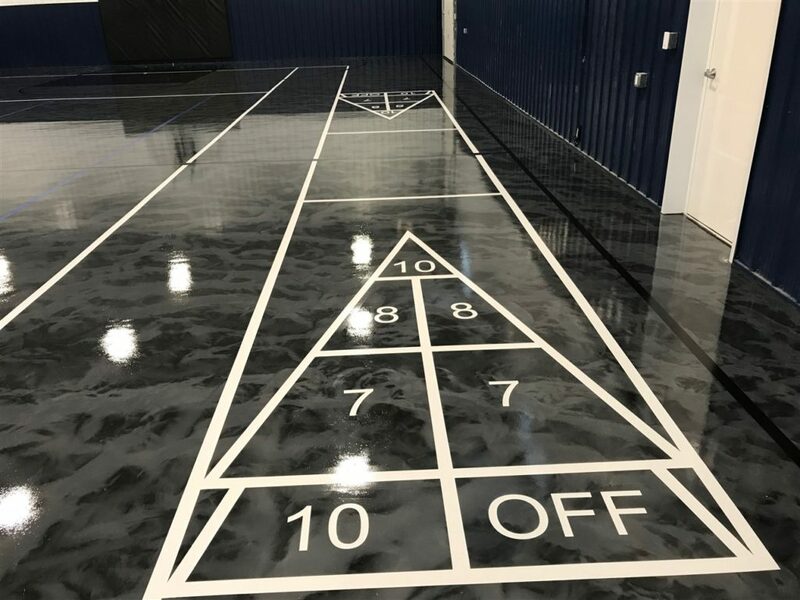 The new recreation area includes basketball, tennis, pickleball, and shuffleboard lines, a batting cage net, tennis net, and wall mounted basketball hoop as well as a portable hoop. 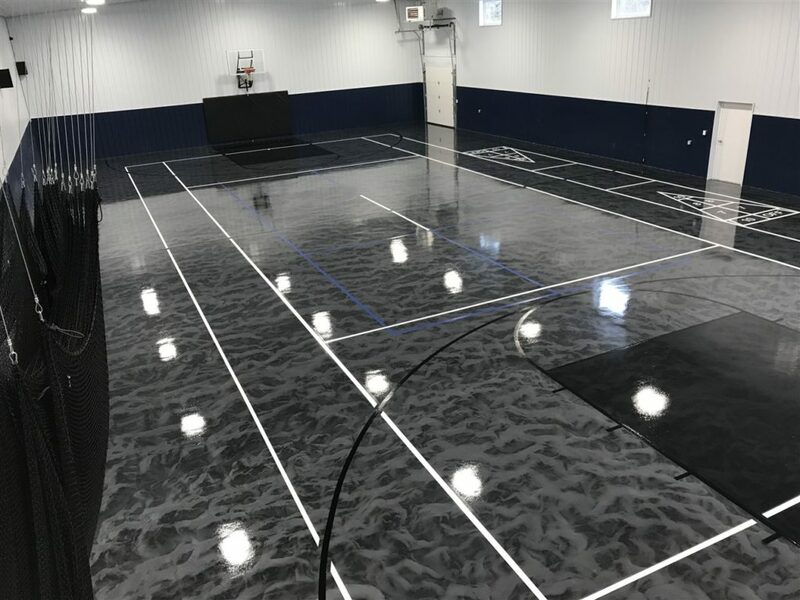 We were happy to accommodate this customer with our floor coatings and recreational components. The transformation was impressive! 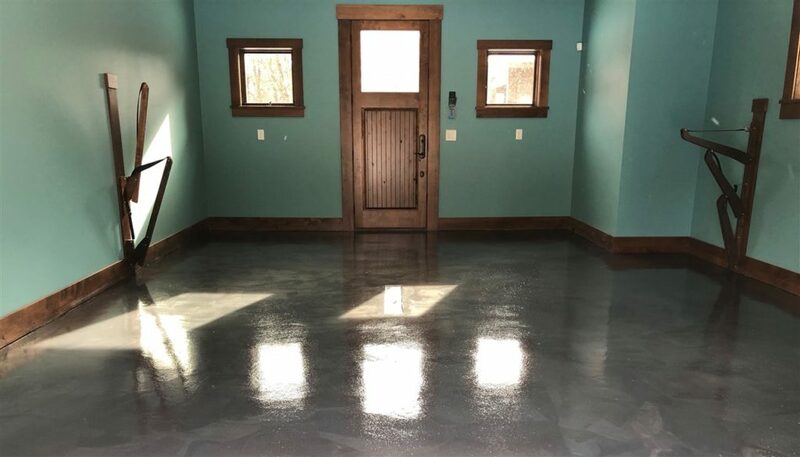 Check out more floor coating projects on our web site.